The apartment was beautiful and comfortable. The apartment was cleaned every day with fresh towels. There is also a ski room for all your equipment. The location couldn’t have been more central and convenient, yet tucked away from the Main Street and therefore very quiet in the evening. The staff were great at recommending restaurants and helping to accommodate us in every way. I would stay again. Location,Cleanliness,friendliness of staff,view from the balcony,decor and comfort of the apt.Amenities were modern.Cozy apt.If ever go back to Chamonix,will stay At the same property. The location can not get any better. The apartment is fully equipped and the place looks brand new. From the moment we arrived at Le Genepy we knew we would have a wonderful stay. The staff were very friendly and helpful and we were able to check in to our apartment a couple of hours early as it was ready for us. The staff were always smiling and happy to help us with our questions. The location of Le Genepy couldn't be better. The apartment was spacious, very clean, nice comfortable bed and great facilities. We are planning our next trip back there already! Great place. Excellent location. The staff was amazing. We decided to stay an extra night and they made accommodations. We checked in after hiking Mont Blanc for a week and Denisa at reception could not have been more welcoming and accommodating. She helped us with our luggage and arranged to have our laundry done, as well as helping us with some flight/travel details and dinner reservations. Our 2 bedroom apartment was very clean and well appointed (extra large bath towels!) and the kitchen fully stocked. A perfect ending to a great Mont Blanc adventure! Lock in a great price for Le Génépy - Appart'hôtel de Charme – rated 9.4 by recent guests! Located in the heart of Chamonix just 800 feet from ski transfer buses and the Tourist Office, Le Génépy - Appart'hôtel de Charme features views of Mont Blanc. 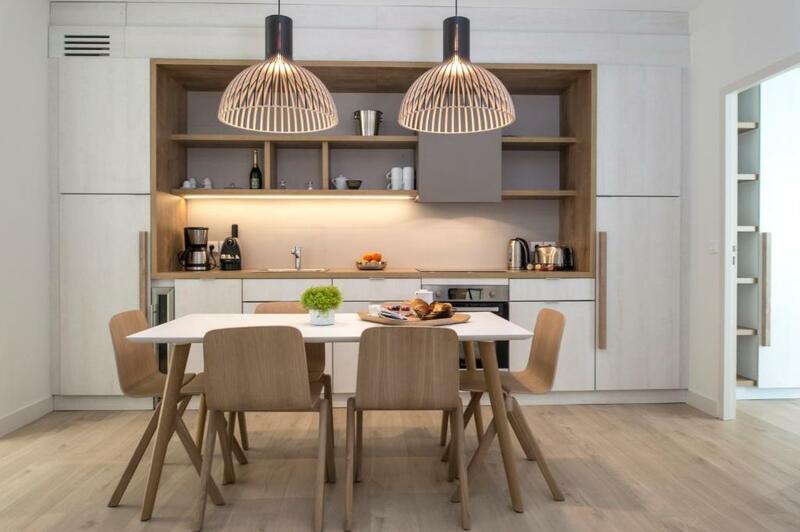 The contemporary apartments are decorated in a Scandinavian style. They offer a flat-screen TV and a fully equipped kitchen. The private bathroom includes a bath or shower and toilet. Breakfast is available at an additional cost. Bars, restaurants and supermarkets can be found within walking distance. Additional services including babysitting, grocery delivery and packed lunches are available at an extra fee. 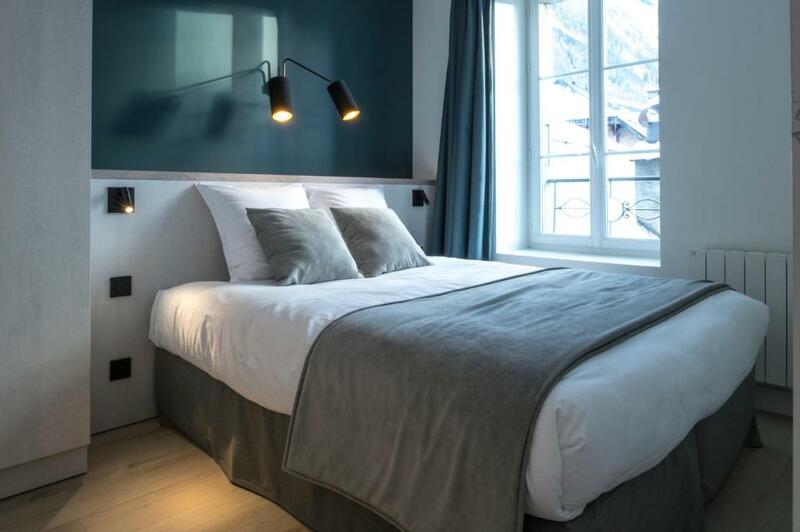 Le Génépy - Appart'hôtel de Charme is located a 10-minute walk from Chamonix Train Station. The Mont-Blanc tunnel can be reached in 15 minutes by car. The property is 1,000 feet from Savoy Ski Elevator and 1,950 feet from Brévent Ski Elevator. Public parking is available nearby for an extra charge. 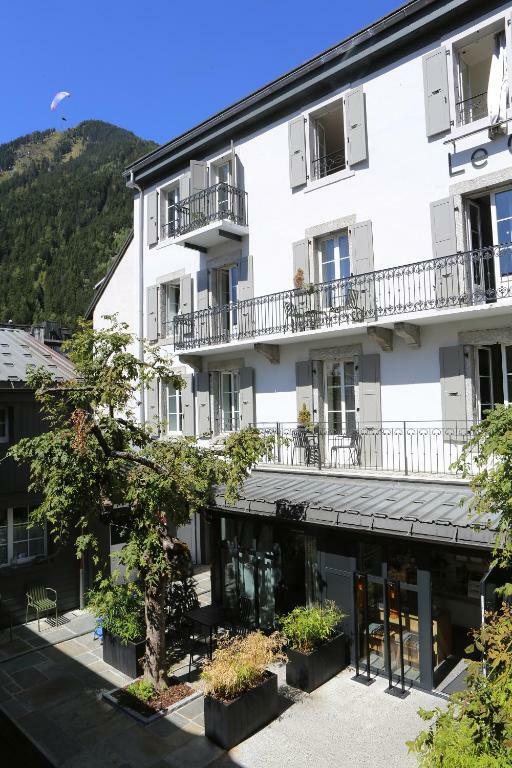 뀐 Located in the top-rated area in Chamonix, this property has an excellent location score of 9.7! 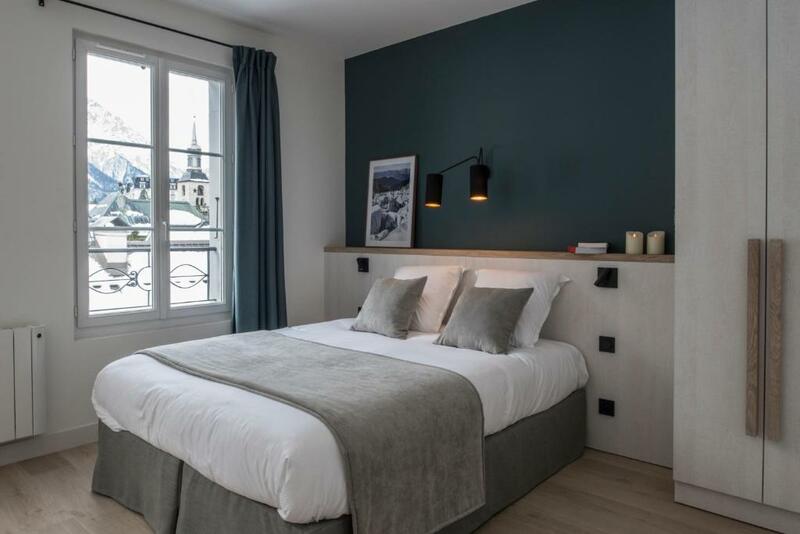 When would you like to stay at Le Génépy - Appart'hôtel de Charme? Our concept is very simple and efficient: a spacious and contemporary apartment, fully equipped and very comfortable and, at the same time, all the services of a 3* hotel. This is the perfect mix ! Mont-Blanc Collection is a hotel group with 3 human-sized properties : our philosophy is to make our guests have an unforgettable and true experience. 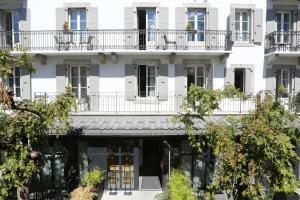 Besides Apart'hotel Le Genepy, we own Hotel Le Faucigny and Le Whymper, Chalet & Spa within 50m. With our partners, we offer a wide array of services in addition to lodging: ski passes delivery, transportation, on-site chef, catering, outdoor activities and more ! Simply just ask and we will do our best to accommodate your wishes. You will live in the very heart of Chamonix in a very quiet environment (dead-end, private courtyard). You will experience the real and mythic Chamonix ! Area Info – This neighborhood is a great choice for travelers interested in downhill skiing, scenery and winter sports – Check location Excellent location – show map Guests loved walking around the neighborhood! House Rules Le Génépy - Appart'hôtel de Charme takes special requests – add in the next step! Le Génépy - Appart&#39;hôtel de Charme accepts these cards and reserves the right to temporarily hold an amount prior to arrival. Le Génépy - Appart'hôtel de Charme accepts these cards and reserves the right to temporarily hold an amount prior to arrival. The view from our windows looked at Mont Blanc. Fantastic location. We left our apartment and walked in our ski boots with skis to bus stop . A different mountain adventure each day. Really great location and the apartment was well equipped and very comfortable. Dishwasher didn't fit properly and knocked into cupboards every time it was opened. Brilliant location, really clean and comfortable apartment. Good ski equipment room. Very helpful staff. Will definitely return! 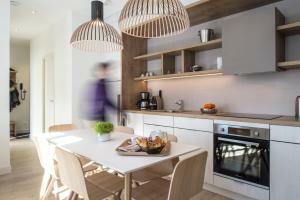 Everything- fabulous place to stay, apartment was immaculate, fresh and cleaned daily. Beds really comfy lovely furnishings, lovely view excellent location and amazingly helpful staff !! The bed was ok, but not super comfortable. Great Place, Super friendly staff. It was difficult to find in a vehicle. Its location was perfect just near the main pedestrian promenade. 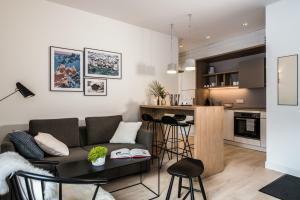 I cannot speak about the other apartments available and their photos seem quite nice. But the duplex flat is very tiny and for me 183cm tall, uncomfortable and a poor value. Tiny TV in kitchen area, toilet down small tight stairs, smallish queen bed upstairs in tiny room, flush against 3 walls so always have to climb over, and a lumpy mattress. No parking which adds hassle and cost if you have a car. Not a pleasant stay though I expect the other flats are nicer. Management was very friendly, understanding and accommodating - location great.